cute teddy with 2 helium balloons. Will immediately make you feel better. Upgrade to deluxe and add a quality box of Chocolates. 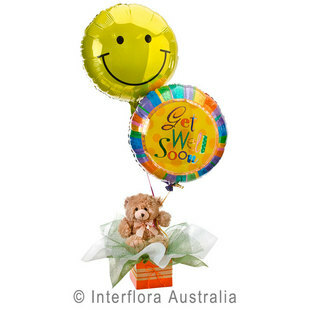 Order this stunning get well floral arrangement online today!